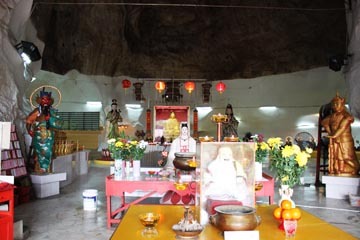 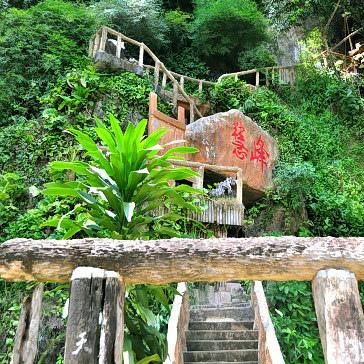 Kwan Yin Tong of Goddess of Mercy Cave Temple is located at Gunung Rapat. 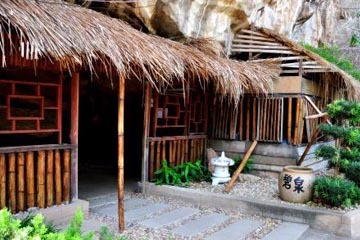 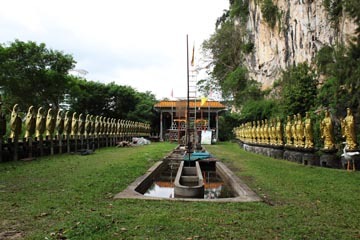 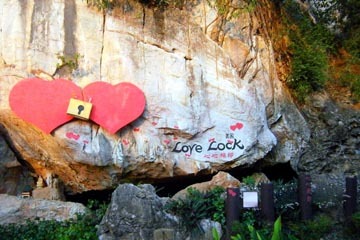 The limestone hill here has the highest number of cave temples in Ipoh. 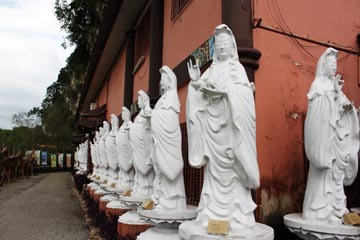 There are about 75 statues of Kwan Yin here. 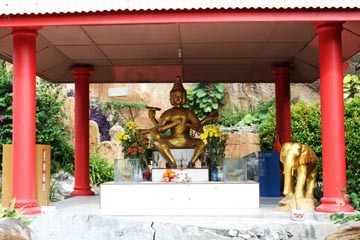 Kwan Yin is the bodhisattva associated with compassion as venerated by East Asian Buddhists, usually as a female. 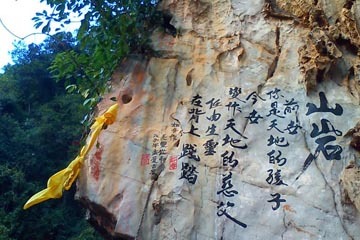 The name Guanyin is short for Kwan (observe) Shi (world) Yin (sound) which means "Observing the Sounds (or Cries) of the World". 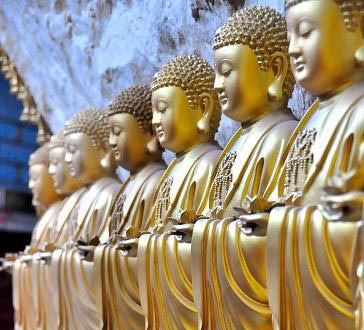 It is generally accepted (in the Chinese community) that Guanyin originated as the Sanskrit Avalokiteśvara, which is her male form. 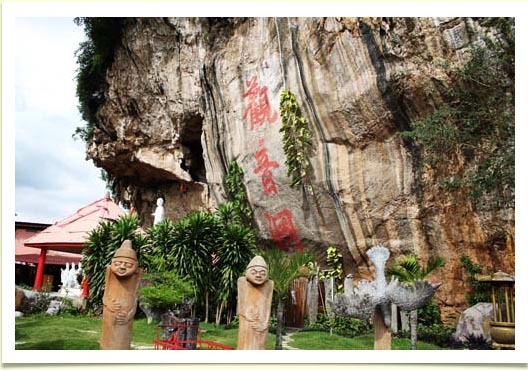 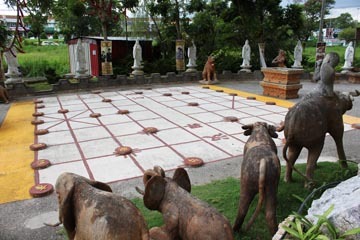 Another attraction at Kwan Yin Tong Cave Temple, Ipoh is this water feature. 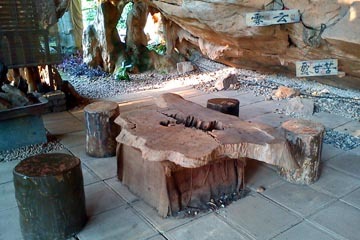 The area is designed like the Japanese wishing fountain. 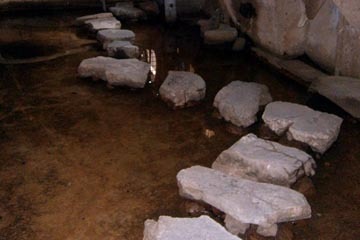 So make a wish while you step on the stones and cross from one end to the other.